Busy is good. Busy means work is coming in. Busy means expenses get paid. Busy means people want to work with you. Busy can also be overwhelming. Busy can also push deadlines to the max. Busy can compromise the quality of work. All businesses have busier times of the year. How busy seasons are handled determines whether the business will thrive or sink during those times. We’ve ridden the roller coaster ride of busy times and crazy busy times. This has taught us a lot about how to embrace whatever workload is thrown at us. Below are tips and tricks to help your business get through the busy times and grow stronger. Make a ranked list of what needs to get done and when. 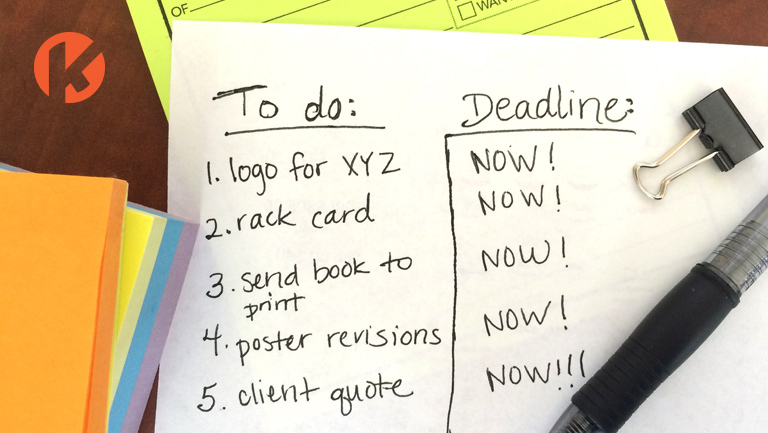 Take on one item at a time and cross them off as they are completed. Remain focused on the task at hand. Don’t overpromise. Know your limitations. It is better to under-promise and over-deliver than to disappoint people by missing deadlines. Communicate about your progress on tasks. Seriously. Take a ten minute walk. Make yourself a snack. Take a power nap. Exhausted, hungry, eye-strained workers never output high-quality, error-free work. Asking for help isn’t a weakness, it is a recognition that none of us can get through life alone. If it is a work task that only you can do ask someone for help in another area of your life. Busy doesn’t always bring out the best in people, so make a conscious effort to appreciate those around you who are trying to help. What has caused you to be busier? Is this temporary or long-term? Are you busier with things you want to be doing? Is it time to evaluate your clients/customers and focus on who you truly enjoy working with? Is the uptick in business driving your company in the direction you want it to go? 6. Finally, at the end of the day, make sure you still love what you do. Well said! 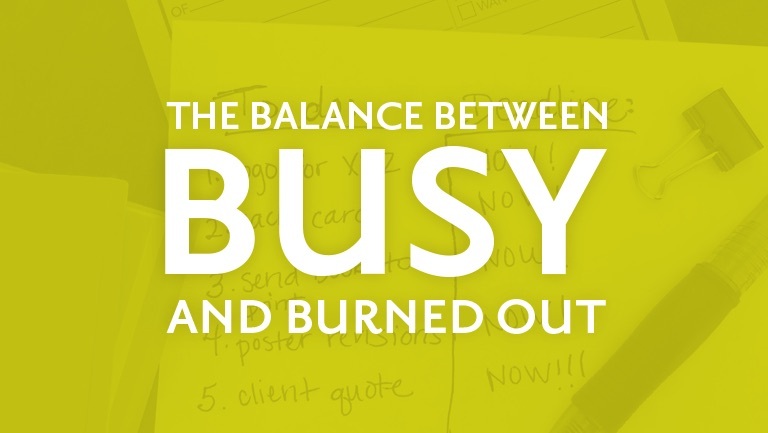 Balancing the work load is a constant struggle for contractors and freelancers. I do find it helpful to make and adhere to daily and weekly to-do lists during expecially busy months and to reward myself with a long weekend away after successfully clicking through a series of big deadlines. And making time for a daily walk helps me sleep better at night instead of lying awake worrying about the mound of work on my desk! Thanks for your good suggestions! From one who is often too busy and takes on far too much! From someone who does way too much, I thank you for your wise advice!